Help him achieve a unique polished look on his wedding day with this personalized tie clip. 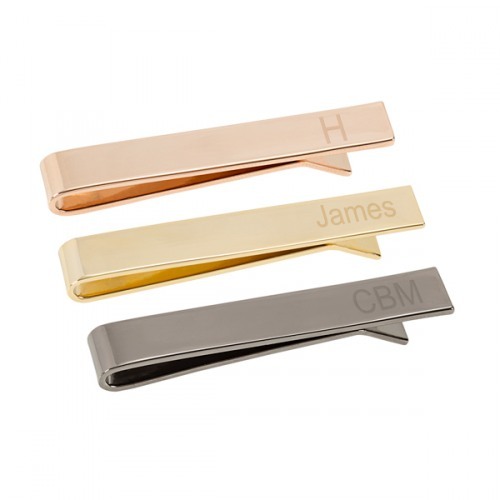 Available in gunmetal, gold, or rose gold, this tie clip can be engraved with his single initial, three initials, or a name. Perfect as a pre-wedding gift that can also be worn in the work place too.